I’ve had some worries weighing on me lately. Life stuff. Parenting stuff, marriage stuff, just.hard.stuff. Some days it feels like there are just too many decisions to be made and none of them present good options. Or, there’s too many activities on the calendar. Too many commitments and callings and desires and obligations. As hard as I try to keep a sane pace of life, chaos can unknowingly become the norm, making it difficult to keep up with even basic tasks. 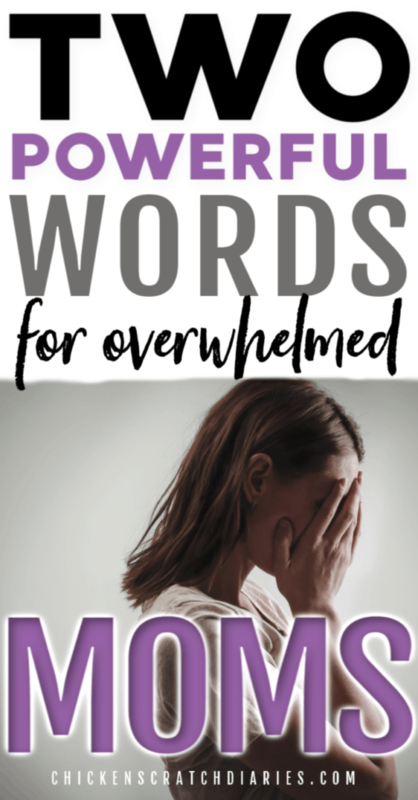 Throw in a clingy teething toddler, a budget that seems to be running on fumes and work that’s always behind, requiring yet another late night – it’s a recipe for overwhelming anxiety. Maybe this sounds familiar to you. If you’re a mom in the 21st century, it might be a more common feeling than you’d like to admit. As I’ve shared before, I truly believe there’s no such thing as a perfect balance. It really is a matter of learning to balance a little better, day by day. For me, it’s also a matter of keeping my perspective on the good things in my life – and the God who works all things for my good – so that I can accept this off-balance reality and still choose to walk in joy. And though I sing the praises of showing ourselves grace as parents, sometimes I forget this key ingredient to NOT being overwhelmed. I am human. I can know all the right things to do, I can know what the Bible says about worry and how to handle it (Phillipians 4:6-7) – but I need a constant reminder of it. -If I spend time with the kids, it feels great. But then the housework gets behind. -When the housework gets behind, no one has clean socks or a spoon to eat with. -I spend time catching up on housework and feel guilty for not spending time with the kids. Who do I need to impress with a clean house anyhow? -But then I realize I’m also behind on my work-work, so I stay up late to catch up. This feels great until the next morning. -I become crabby from lack of sleep. I’m short with the kids and have a negative attitude. Then I feel bad about that. -Lack of sleep also makes it harder to concentrate on what I need to do and prioritize those tasks. –I finally remember to pray for strength I don’t have on my own, to do what needs to be done. -I “try harder” to let God have my worries and continue on. The cycle repeats. 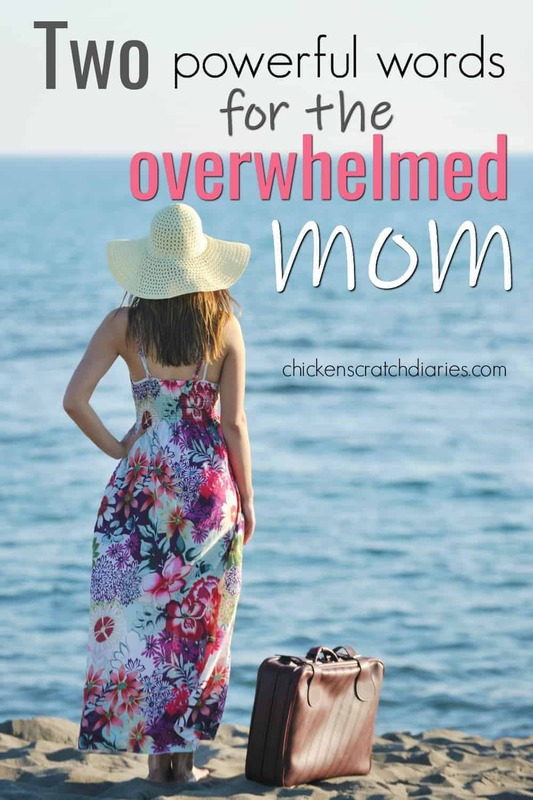 You might call it your typical Mom Guilt that we all wrestle with, I’m sure. But there are times that it seems so much more than that. I’ve really been trying to pinpoint my biggest sources of stress in order to manage it more effectively. I’m pretty aware that there are only so many hours in a day and I can’t do it all because eventually, one of those balls will drop. In fact, I have figured out several parenting and household hacks and family routines over the years to make mom-life much more manageable. So why do I still struggle with these feelings of anxiety and inadequacy? An unexpected realization came to me during a recent late-night writing session. Everyone else was in bed. I wasn’t getting anywhere with my work. I felt so alone and exhausted and overwhelmed. I needed to work to pay bills; I needed sleep to be a good mom; I needed time with my husband to make my marriage a priority; I desired more time with my kids who don’t understand my need for time to work when they’re awake. Does this ever get easier? I wondered, as I have so many times. But the answer didn’t come as I attempted to figure it out on my own. In fact, no answers were coming at all. I was stuck in a writers-block-funk which only fueled my anxiety as I feebly attempted to get words on paper. I turned away from my computer and decided to pray. Like, really pray and just sit with God a few moments and let it all out. In a very vulnerable state, I told Him all the things that were on my plate and on my heart, from the small things to the big things that seemed insurmountable at the moment. And there it was. So simple, I would have missed it if it wasn’t undeniable and almost audible in the solitude of a sleeping house. Those two words were the one thing I really needed to grasp to get me from that moment to the next, and the next. *Cue the floodgates once again. These two little words had such a profound impact on my anxious heart that it’s hard to fully describe it. For once, I knew I could stop “trying harder” at all the things I was already doing to the best of my ability. For once, I could stop believing that I was alone in these feelings. Instead of trying to do more, be more, figure it all out or even love God better (as if He was waiting on my perfection), I could just BE. He didn’t outline a 5-step solution, a promise that life would slow down or offer to eliminate the tasks before me. A million dollars, a live-in nanny and a housekeeper didn’t fall out of the sky either. But He knows all that I face, and He understands in a way no one else can. And He chose to remind me with this compassionate response in the middle of the night, as I sat at my desk and wept beneath the soft glow of a desk lamp. I realized there’s no quick fix to meeting all of life’s demands; no secret sauce I’m missing that will make everything fall into place at once. If this is where you’re at, know that these two words are for you, too. Because being understood is sometimes exactly what we need the most – more than all the other solutions we can dream up on our own. And somehow, it’s even better. I almost always forget to show myself grace, though I tell moms that all the time! But this: He understands. He knows. He doesn’t need us to be more or do more, to just BE? Yes–a thousand times yes! Thanks friend for your transparency and insight and encouragement. Mostly the encouragement. I needed it today! I’m glad it was encouraging for you Sabrina- it definitely was for me 🙂 I need to re-read this often and remember that God understands – all of it. Incredible. You are a girl after my own heart. “I understand.” Just knowing God sees us and is not looking “down” at our circumstances but actually feels it with us…there is a deep level of comfort and refreshing that comes with those two words. Beautiful. You definitely heard from the Holy Spirit. It’s amazing when we feel God’s presence and hear Him, too, in these moments when we need it the most. If only I can remember to be still and humble enough to listen! Thanks for stopping by, Shauni.